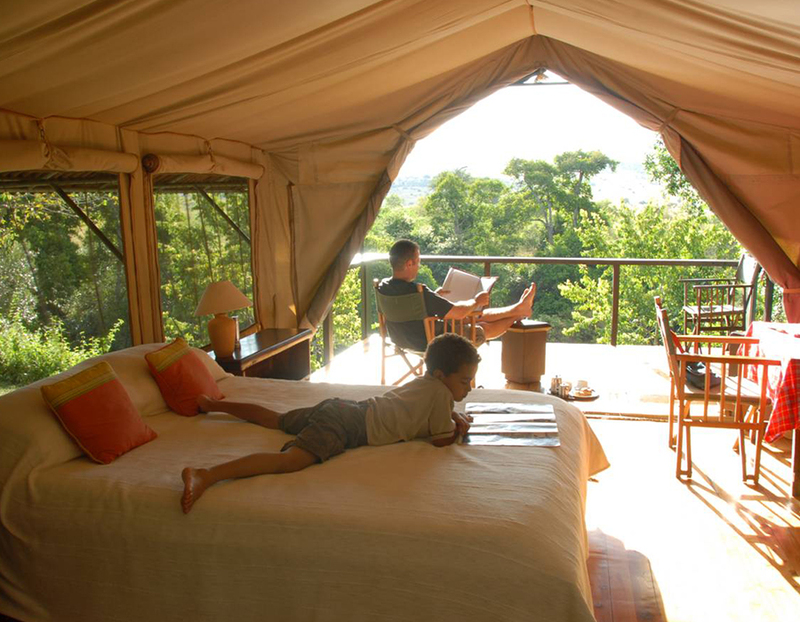 Mara Sekenani camp is a small luxury tented camp set at the source of Sekenani river with streams of the river flowing infront of each tent in the reknown Maasai Mara National reserve. With streams flowing under, the large tents are raised off the ground on platforms and are secluded and set into the bush to ensure privacy. Mara Sekanani luxury tented camp is made up of 15 luxurious tents. Each tent has a full-length bathtub. The restaurant and bar are separated from the tents by a suspension bridge across the Sekenani River, and in such a way to ensure complete privacy. The camp’s kitchen produces delicious fresh meals with lots of their ingredients harvested from our own organic vegetable garden. The camp has a dining and bar area connected to the guest tents with a suspension bridge and a swimming pool. Internet access is also available.